Roy Heald is General Manager of the Security Water and Sanitation Districts. Roy has overseen the work of the Districts since 2006. 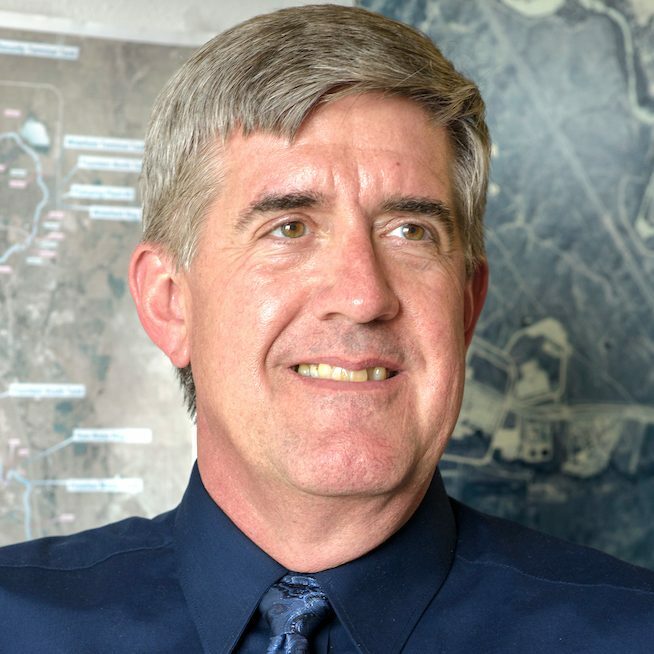 He also serves as chairman of the Colorado Water Resources and Power Development Authority Board, secretary of the Fountain Valley Authority Board, and member of the Lower Fountain Water Quality Management Association, which he previously chaired. Previous to his work at the Districts, Roy served on both the Colorado Water and Wastewater Facilities Operators Certification Board and The National Rural Water Association Board of Directors. In addition, he taught Payroll Accounting and Utility Management as an adjunct instructor at Pikes Peak Community College. He holds an MBA in Organizational Management from the University of Colorado; a BSBA with emphasis in Accounting from the University of Northern Colorado; and additional certificates in water operations, public management, and management accounting.